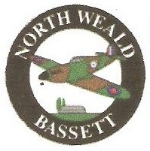 North Weald Bassett Parish Council is proposing a five per cent increase to its council tax precept for the next financial year. The increase would mean an annual increase of £3.27 per year for a Band D household, meaning the parish council element of the council tax paid by a Band D household would be £68.67 for the year. The proposed increase includes budget items for potential legal advice over the Local Plan (£15,000), £5,000 for a rolling programme for street light replacements, £4,000 for fire exit signs and electrical work at The Parish Hall, Thornwood Common, £3,000 for maintenance of the Debt of Honour and £1,000 for the Weald Common play equipment and maintenance. If approved at the January council meeting, the parish council's precepting total for 2018-19 would be £184,249.